A New Leaf has received a reservation of Low Income Housing Tax Credits from the Arizona Department of Housing connected to development of additional housing on the La Mesita Campus in Mesa. This means that Phase 3 of the campus will move forward, a $7.5 million project with 30 units of permanent housing for those transitioning from homelessness. According to Shay Meinzer, Director of Real Estate Development for A New Leaf, the organization is collaborating with key community partners to construct the housing, including the City of Mesa, Federal Home Loan Bank of San Francisco, Local Initiatives Support Corporation (LISC), Arizona Community Foundation, Native American Connections and Architectural Resources Team. “Locating these 30 units at the La Mesita Campus means that individuals and families will have access to critical services such as Head Start and after school programs, job assistance, financial planning and budgeting help, case management and our community resource network,” said Meinzer. 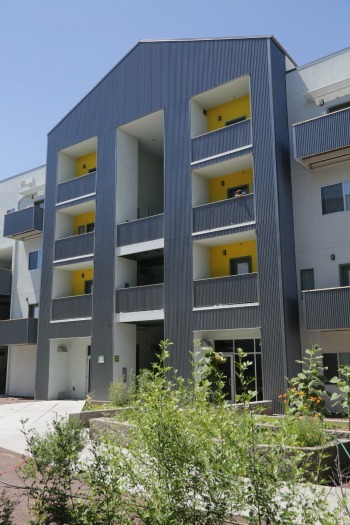 A New Leaf operates the La Mesita Apartments, an 80-unit affordable housing complex, and the La Mesita Family Homeless Shelter also on campus. Phase Three of the campus will commence with construction set to begin the first quarter of 2016.